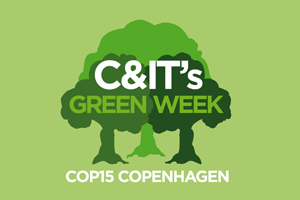 C&IT GREEN WEEK: The Prime Minister of Denmark H E Lars Lokke Rasmussen has opened COP15 with a call to the world's leaders to make some difficult but essential decisions. COP15, The United Nations Climate Change Conference in Copenhagen, opened at 10.42am this morning at the Bella Center and Rasmussen stated: "for the next two weeks, Copenhagen will be Hopenhagen. At the end of the next two weeks we must deliver on the hopes that the world has placed with us. Be ambitious, creative and visionary. A deal is within reach." Rasmussen added that climate change was higher than ever on the agenda and that the event itself had taken more than 12 months to plan, with additional sustainable measures including a ban on delegate gifts in favour of a free MA programme for 11 students from around the world. The 11 'climate scholars' will return to their home nations with both resources and climate change knowledge to share. Rasmussen rallied the estimated 110 heads of nations, who will be part of the 12,000 strong delegation seeking to make a global commitment to climate change, make difficult decisions during the conference. "Global warming has no borders, it does not discriminate and we are here to find a common approach."